Quickly? Nothing about this is quick. Everything about this is hard. And slow. And exhausting. Unsolicited platitudes that make you feel like a bad mother and a closeted pugilist to boot, are—and this is putting it lightly—unappreciated. Because, “the days may be long and the years short,” as they so glibly point out, but it sure doesn’t feel that way to the new mother bouncing and shushing her life away, desperately clocking the passing of each grain of digital sand in her iPhone hourglass. People don’t know how utterly long the days can actually be when you’re abiding the unsoothable howling of your tired baby, going through the maternal motions, and yet second guessing your every decision. And yet, they continue to glibly chirp hackneyed truisms at you, safely ensconced in the hallows of maternal amnesia. These days, as the mother of two under two, the only intention I have is to get through the next five minutes. And then the next five. And then the next five. And so it goes until the moment finally comes when my husband walks in the door and utters a dumbfounded, “Whoa,” at the scene he encounters: A tired heap of formerly-competent mama lying in the center of a wide swath of ‘toddler tornado’ debris. But make no mistake, this voice saying, “Give in,” doesn’t come from the amiable voice of your trusted yoga teacher easing you into a sumptuous pigeon pose, as you smile and nod and maybe scribble it down in a tiny journal labeled Dreams. You have to truly give in from the bottom of your guts: Let go of your expectations. Of your rigorously chiseled habits. Of your lofty pursuits. It’s not forever, of course, this cessation of plotting your personal evolution, but what is forever is this new balance of finding strength in your capacity to give in. 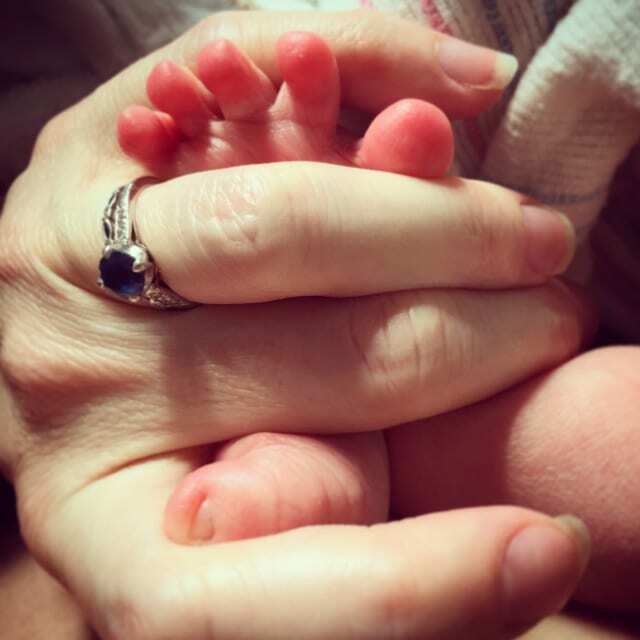 Motherhood is at once an exercise in unwavering fortitude and complete surrender. The more I’ve given in to giving in, the more I’ve realized that motherhood operates the opposite way yoga does. It’s not about achievement when you’re in the mommy trenches. It’s about getting through—something you’ll do more gracefully if you can release yourself from your own stringent expectations. That certainly feels like the opposite of yoga, for what yoga teacher has ever told you to lower your expectations, to refrain from setting an intention, to abandon any sense of progress and embrace the entropy that is your potty-training life? None. Until now. You are your own yoga teacher now. Karina Mackenzie has pursued many passions at Wanderlust HQ, including producing the Speakeasy Lecture Series and running all-things-digital back in the day. 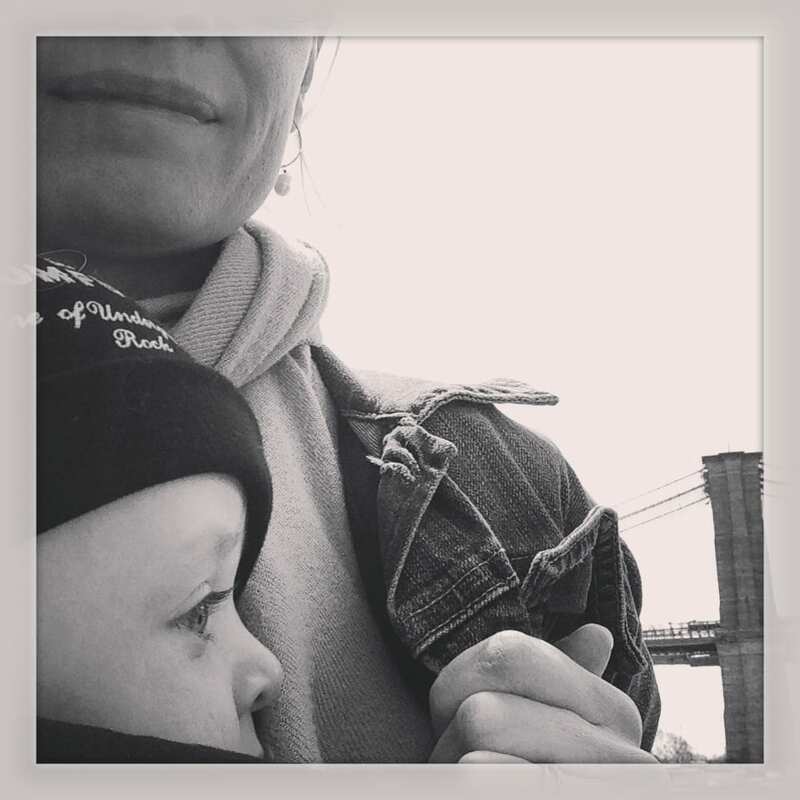 Currently, as in right this very moment, she is tapping out an author byline on an iPhone in the dark whilst nursing the youngest of two beautiful babes she proudly raises in Brooklyn with her husband, Wanderlust co-founder, Sean Hoess.